Security lines were moving smoothly through Denver International Airport on Monday. That wasn't the case in some other airports across the country due to staffing shortages during the partial government shutdown. More Americans are being impacted by what is now the longest government shutdown in U.S. history. This week, the already stressful world of air travel is feeling the pinch as Transportation Security Administration workers call in sick. But for now, things are still operating smoothly at Denver International Airport. 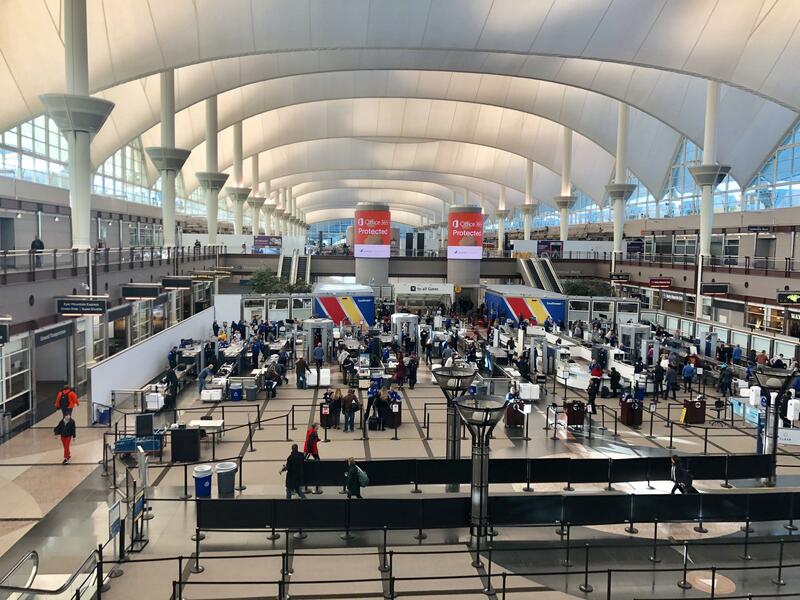 DIA spokeswoman Emily Williams said the average wait time at security checkpoints averaged about 10 minutes on Sunday. "I think a lot of it is TSA leadership here in the region, and honestly these agents are doing a great job," Williams said. "They are showing up to work every day and they aren't getting paid." But for some travelers who arrive at DIA, it isn't smooth sailing around the country. Felicia Westpoint's business trip to Denver got off to a bumpy start in Atlanta on Monday. Westpoint said the security lines were longer than she had ever seen them. "I flew shortly after Sept. 11 when you had to start taking your shoes off. It was worse today than it was back then," she said. "The lines were wrapped all around baggage claim. We got a little tip and went through the international side, and the wait was more than two hours." Miami International Airport closed one of its concourses over the weekend because TSA workers weren't showing up to work. A terminal in Houston was also closed due to staffing issues. And although there weren't any visible signs of the shutdown at DIA, some in the aviation world are warning about negative impacts. Joshua Waggener represents air traffic controllers in Colorado. He said morale in the control towers is low with workers not getting paid, and some important safety features aren't online. "The safety redundancy and support workers we normally have are not coming to work," he said. Waggener is also concerned that the shutdown could spur more air traffic controllers to retire, leading to staffing shortages down the road. On Monday, he stood behind Democratic lawmakers from Colorado's congressional delegation as they used the backdrop of unpaid TSA workers to urge President Trump to end the shutdown. If the shutdown continues, Rep. Diana DeGette said more travelers will be put at risk. "These people standing behind us are solid employees, they have the safety of the citizens paramount," she said. "That's why they're working without a paycheck. But this can't go on for their families or for the overall safety of this system much longer. Back at baggage claim, Felicia Westpoint said they're making a point to thank TSA workers who are showing up to work during the shutdown. "I really hate that their lives are being affected to the point where it impacts my life," she said. 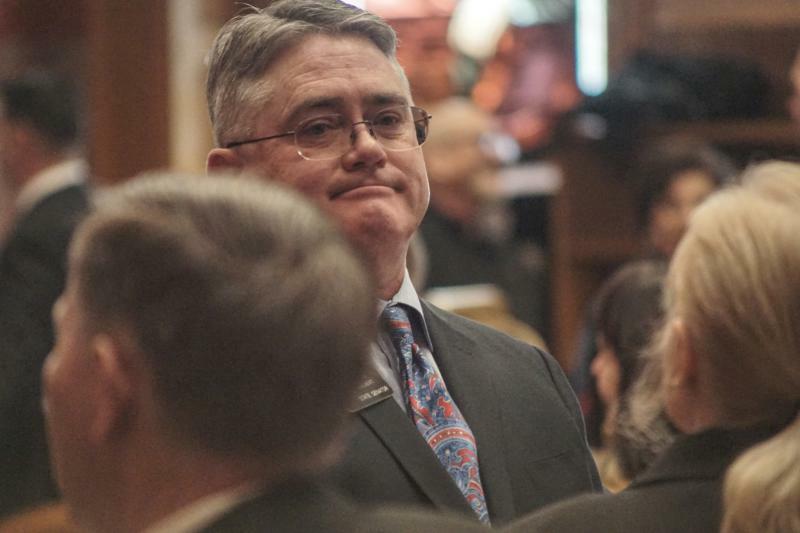 Sen. Chris Holbert is adapting to life in Colorado's legislative minority. "We will have our say but not our way," he said in a speech on Jan. 4, the opening day of the session. "We have the voice, but not the votes." So how does a lawmaker without the votes approach his job? Here are three takeaways from KUNC's interview with the Republican minority leader the day before the session gaveled in. 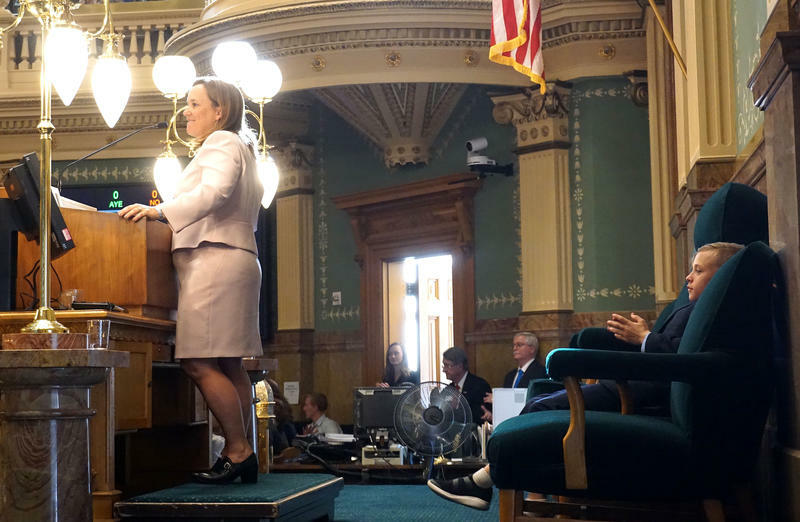 Jared Polis addressed lawmakers for the first time as Colorado Governor Thursday. His State of the State Address, delivered before a Democratic majority of legislators, lasted about 55 minutes. In it, he said the state of Colorado is solid, strong, and successful. But he also said it was time to address education and the high cost of living and health care, particularly in mountain communities. Hear the State of the State Address in its entirety. Colorado lawmakers are back at work. The 2019 legislative session opened Friday morning with plenty of new faces at the Capitol and Democrats in complete control. The party now holds both chambers of the legislature and the governor's office, meaning there's little resistance between Democrats and their agenda. Colorado Public Radio political reporter Sam Brasch offered this report, as part of a new partnership with KDNK and CPR.